Isn’t it true that every great household must have a great vacuum cleaner? I think so. Plus, if you have kids or pets, the importance of a good vacuum cleaner is even bigger. Now, I searched for a good carpet cleaner and found Hoover SteamVac SpinScrub to be the best. Its design, weight, and overall performance make it one of the best models I’ve tried. Does it clean pet hair? One of the most common questions we ask when we’re buying a vacuum cleaner, and yes, it does. As a matter of fact, it operates in a way that leaves no pet hair or any kind of dust behind. Take a moment to read our review on Hoover SteamVac SpinScrub carpet cleaner and learn how to keep all your home’s carpets absolutely clean. Stain removal can sometimes be hard, depending on the kind of stains you’re trying to remove. However, Hoover SteamVac SpinScrub deals with them easily. Its 12 Amp motor and multi directional brushes clean all stains quickly and efficiently. The Hoover SteamVac SpinScrub also features a tool mode that’s perfect for cleaning any kind of hard floors. If you or your kids accidently stain furniture, you can also clean that with the upholstery attachment. Its power and attachments make the perfect combination for cleaning any kind of stains from any kind of hardwood. Naturally, that’s always something good to have, especially if you have children or pets who leave your floors messy and stained. At last, it’s important to have a vacuum cleaner that doesn’t only vacuum dust and dirt but it’s efficient in removing stains from floors as well as upholstery. 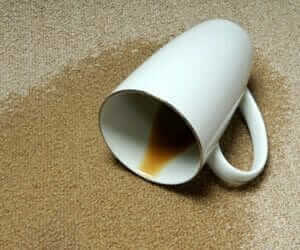 Check our revivew about the best carpet stain removers available at the market today. What’s really convenient about this vacuum are its tanks that you won’t find in any other vacuum cleaner. This reason is exactly why so many people love and stick with SteamVac SpinScrub. You know how most steam vacuums have complicated water extraction or even start dripping water after some time of use. In the case of Hoover SpinScrub carpet cleaner, its dual tanks are ideal for holding cleaning solution as well as dirty water. In addition, the vacuum features heated drying so there’s no risk of wet floors after you clean. Of course, this is convenient because slippery wet floors can indeed be quite dangerous. Even though the vacuum itself doesn’t make steam, but you’re required to add hot water in the tank, the vacuum extracts water and dries floors perfectly. We can all agree on how important easy maneuverability is. For example, what use is a very powerful vacuum if you can barely even move it? Moving a heavy vacuum cleaner around your house is that much harder if you have stairs. When you ask some of Hoover SpinScrub customers, they’ll tell you all about the ease of moving this vacuum around, and even up the stair. First, it features clean surge control that allows you to clean easily. In addition, its hose is 8 foot long, and it’s molded. Understandably, molded hose that’s that long means all the ease of maneuverability you can possibly get. You probably already know how hard it is to maneuver around furniture, for example, if the hose is stiff and hard to work with. Another really convenient feature that Hoover thought of is a 20 ft. long power cord. Lastly, the vacuum weighs only 20 pounds, which is quite unheard of. Its weight makes it easy to take up the stairs and the length of its power cord allows you to vacuum without having to unplug it all the time. No doubt, maneuverability is crucial when choosing a vacuum cleaner, especially if you have a big house and large areas to vacuum. Most of convenience lays in the ease of use and maintenance, and luckily, Hoover SpinScrub has all of that. One of the main things to mention when it comes to ease of maintenance is its quick-release tank latch. Also, you don’t have to deal with any dirty water since the vacuum features two tanks for dirty water and cleaning solution. As you can probably assume, a vacuum cleaner of this quality has no outstanding maintenance needs. For this reason, clean and vacuum all your floors, clean the water, and you’re good the go the very next time you need it. Logically, ease of maintenance is always something you should look for when buying a vacuum cleaner. In the case of this carpet cleaner, maintenance meets convenience and performance to deliver one efficient vacuum cleaner. Naturally, vacuum cleaners are always loud, and there’s no such thing as a quiet vacuum cleaner. Of course, Hoover SpinScrub isn’t super quiet, but it’s also not the loudest one out there. As a matter of fact, most people have chosen this carpet cleaner not only because of its cleaning abilities but also because of how quiet it is. 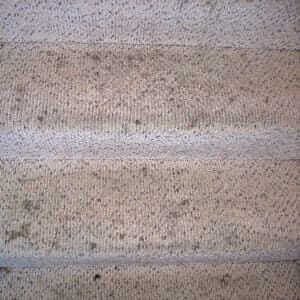 In comparison to other best carpet cleaners, we can freely say that SpinScrub takes the prize. Furthermore, you’ll be able to vacuum and clean whenever you want, because the noise it makes cannot possibly bother any neighbors. Actually, many people said how SpinScrub doesn’t scare their pets, which is always good. At last, noise is not an issue in this case, and therefore, you can vacuum at any time for as long as you need. Other than noise and convenience, performance is maybe the most important thing to look for when it comes to buying a carpet cleaner. Before anything, you need an efficient vacuum cleaner that can clean any stains, vacuum any dust, debris, pet hair, etc. Luckily, SpinScrub features all a vacuum cleaner needs in order to perform well. First, it features multi directional brushes and its brush roll performs in 3 different speed controls. As we already mentioned above, its 12 Amp motor makes all the magic in combination with tools and attachments the vacuum comes with. More precisely, an attachment for furniture and stairs and an attachment for hard flooring. No doubt, the size of its nozzle also has a lot to do with how well the vacuum performs. In detail, the nozzle width is 11.25 inches, which is quite convenient. 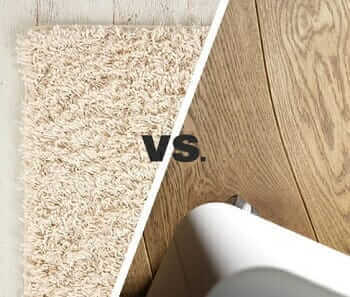 For this reason, you can vacuum any flooring quickly, which saves time as well as energy. Its performance is backed by all the attachment and accessories the carpet cleaner comes with. In addition, the power and speed that the vacuum performs in are what makes it one of the best vacuums in the market. No doubt, Hoover SteamVac SpinScrub is one of the most convenient vacuum cleaners you’ll find in today’s market. Actually, you probably already understand why we say this, since we’ve mentioned so many convenient things and features of this carpet cleaner. One of the most important features that add to its convenience is the length of the power cord, as well as the length and quality of its hose. In addition, the fact that the vacuum is quite lightweight also makes it convenient because it’s easy to use and maneuver around furniture and any tight spaces. At last, we must mention the furniture attachment that makes this vacuum even more convenient because you won’t need a separate device for cleaning furniture. To summarize, Hoover SpinScrub is convenient for many reasons, power, maneuverability, and maintenance being a few of most important ones. 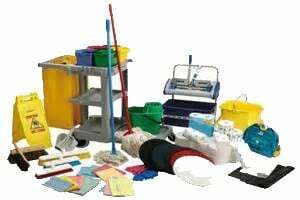 It’s well-known that accessories and attachments are what makes the overall cleaning experience good and efficient. No doubt, these accessories also add to the convenience and performance, which is why it’s important we dedicate them a few words. Luckily, SpinScrub comes with a decent list of attachments and accessories that make it one of the most popular vacuum cleaners today. More precisely, the furniture and stairs attachment that you’ve just read about is one of the best accessories that come with this carpet cleaner. Moving on, Hoover SteamVac SpinScrub also comes with a tool mode that’s ideal for cleaning hard floors such as tiles, hardwood, etc. Also, the carpet cleaner comes with 5 brushes and they’re all multi directional and removable. Finally, Hoover SteamVac SpinScrub is accessories with a built-in measuring cup, and 2 separate tanks for cleaning solution and dirty water. Warranty can, more often than not, make or break a deal. If you’re not secured by a good warranty and efficient support system by the manufacturer, you can never be completely safe. Naturally, if something goes wrong or the device stops working, you want somebody professional to help you with the problem. In the case of Hoover SpinScrub, the manufacturer offers 1-year warranty. Precisely, warranty covers any kind of craftsmanship defects. However, warranty doesn’t cover misuse or anything of that nature. As you can understand, warranty only applies if the carpet cleaner was used accordingly. In order to get full support from the Hoover team, you must contact their customer service and explain the issue in detail. No doubt, they’ll be quick and efficient to resolve the problem that has occurred. Finally, 1- year warranty may not feel like much, but when the support system and customer service is as good as it is in this case, it really pays off. At this point, you probably already want to replace your standard vacuum cleaner with Hoover SteamVac SpinScrub carpet cleaner. Of course, we understand exactly why. However, if you still don’t know why you should invest in an ally such as this, we’ve created a little table of pros and cons to help you decide. More precisely, these kind of tables help people review and see all in one place. Furthermore, once we compare the good and bad, you’ll see exactly why so many people opt for this carpet cleaner. As you can see, there are so many more pros than cons in the case of this Hoover carpet cleaner. More so, these aren’t small pros, but big and useful features that are included with this model. It’s easy to use, lightweight and convenient. In addition, it’s powerful and efficient in cleaning all sorts of stains, dust, and debris. When it comes to cons, the main thing people have complained about the most is the size of the dual tanks. More precisely, if you own a quite large home and you have a lot of space and floors to vacuum, you’ll probably need to empty the dirty water tank a few times during cleaning. However, this really isn’t a major con, and most people still opt for this carpet cleaner because of its overall performance. Finally, now we’re sure you’re replacing your old, bulky vacuum cleaner with this convenient and efficient carpet cleaner from Hoover. Normally, we’re always looking for ways to make cleaning easy, and now, we bring you exactly that. This carpet cleaner is easy to work with, and it cleans all the tight spaces easily as well. Keep in mind, not only it’s efficient and convenient, but the manufacturer also offers decent warranty and good support. In conclusion, it’s always important to have a vacuum cleaner that can clean pet hair, stains, dust, debris, etc. No doubt, kids and pets leave the most mess behind, but if you have an ally such as this Hoover SteamVac SpinScrub carpet cleaner, you have absolutely no reason to worry.